When it comes to children, if used correctly, technology can be a huge asset. If not, it can be a huge problem. However, there is no way that one can avoid it. Our world is changing constantly. 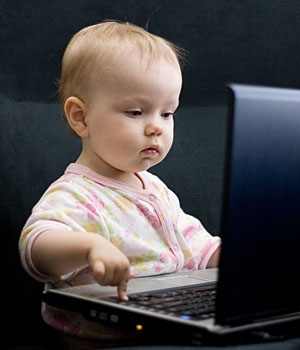 The primary toys of today’s children are computers, iPods, tablets and mobile phones and the primary means of teenage communication are social networking and instant messaging. Children are becoming future-proofed. They are much more comfortable with technology which is an essential skill for employment. Children become empowered as they have so many tools and so much information at their disposal. Online encyclopaedias, dictionaries and calculators are just some of these. Many games encourage strategic and critical thinking, and collaboration which are important skills to have. Technology can keep children entertained and occupied for hours. Shy children find it easier to make friends on the Internet. Parents can also track their children’s whereabouts using mobile phone technology. There are many educational games available that can be played on the many current gadgets. Eager readers can be kept happy cost-effectively with e-readers like the Kindle. Kids can see and talk to grandparents that live in another country using Skype. Obesity due to excessive amounts of time spent sitting in front of the television or computer and lack of exercise. Fundamental life skills like reading, spelling, and social skills are being lost. Relationships between family members are deteriorating because children would rather be online or watching TV than spending family time. Violence is increasing due to exposure to violent video games and TV programmes. Children are becoming more accessible to predators. Exposure to unsuitable content on the Internet. Limit computer, TV and mobile phone usage times. Use internet protection software to filter and block unsuitable content. Join the same social networks as your child and connect to their profiles so that you can monitor their activities. Position the computer in a “public” part of the house, with the screen facing outwards so that you can see what your children are doing. Teach your children not to trust people they meet online nor put their addresses and phone numbers online. Check your browsing history to see which sites your children have visited. It is of utmost importance that you should be able to trust your child with technology and that they use technology with balance and moderation.